The recent live airing of the 1970s Broadway musical Grease on national television proved to be a very ambitious undertaking, involving three separate staging areas (one outdoors) at a major Hollywood motion picture company lot, the use of approximately 44 cameras, inclusion of a live audience to provide a “Broadway feel” and having to cope with the effects of a thunderstorm that passed through the area just before air time. In planning for this major primetime television “special,” the production team was faced with a requirement for generating specialized video formats and file types in addition to the high-definition content being fed coast-to-coast in real time for home television audiences. These included streams for international online viewing and Blu-ray distribution purposes, as well as proxy-resolution versions for producer review and screening. Only a few of the remote production trucks available could accommodate a live broadcast of this magnitude and complexity, making the decision to employ Viacom’s brand new Atlas truck one of the easiest choices in the entire planning process. Atlas was designed from the ground up for file-based ingest and production, and is equipped with Pronology’s mRes™ record system, which allows simple and easy creation of the wide diversity of simultaneous streams and file types needed to accommodate the requirements of Grease: Live. Pronology’s mRes encoding technology is ideally suited for such applications as it provides multiple tiers of recording capability for each SDI input channel, including a high-resolution media file, and edit and streamable proxies, thus providing full uncompressed video to a local server and compressed files for ingest on other storage platforms. For this Grease: Live application, the Pronology mRes encoder/recorder was paired with Sony PWS-4500 servers for ingesting isolated and switched camera live feeds that would be used for creation of future products, such as international Blu-Ray releases and online pay-per-view distribution. The mRes-encoded program video and iso-camera feeds were also recorded on several Small Tree TZ5+40 portable servers, as well as an Avid® ISIS system serving several on-site Avid edit suites making use of mRes’ Edit-While-Capture functionality. mRes’ capability for generating more than a dozen codec types, 10 frame rates, half a dozen resolutions ranging from 480i through 4K, and its support for some seven wrappers easily accommodated the simultaneous creation of concurrent streams and file types, including the DNxHD 1080p/23.98 Op-Atom, DNxHD 1080p OP1a, ProRes HQ 720p/5994 files and H.264 needed by the show’s production team, leading to a streamlined and efficient workflow. Another mRes feature that facilitated production of the 130-minute long live production was its ability to be easily remote controlled via Pronology’s clip controller application. This integrated with both the Avis ISIS and Small Tree storage systems, as well as the Avid NLEs that were employed. The production team praised the mRes system for its ability to provide instant availability to multiple resolutions without any loss in image quality, stating that no other single box encoding/recording system would have provided the flexibility necessary to accommodate the show’s scope and technical complexity. Grease: Live proved to be an overwhelming success for its creators, was watched by more than 12 million viewers and captured a 4.3/13 rating share among 18 to 49-year-olds. It generated more than a million Twitter posts as it was airing. 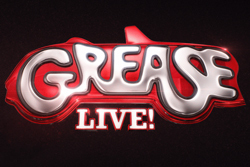 In addition to the live U.S. presentation, Grease: Live was also seen in real time across Canada and on a delayed basis in a number of other nations including Australia, Denmark, Norway, Sweden, the United Kingdom and in a number of Latin American countries.